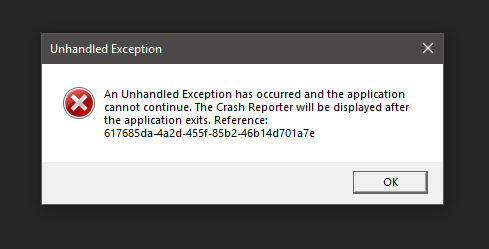 Files I made in .57 crash AP .58 when I try to open them. Is this something to be expected due to all of the new changes? Thanks to OliverG, huubjonkers and one or 2 others we now have sample files that show this problem. We have at least one bug here. We believe this relates to (embedded) images placed on the master page of a document not reloading into #58. IF you did not put images on your master page but cannot reload your document we are still interested in you providing your file as there may be more than one cause for these crashes. could that be the case for files created in #58 that don't load too? I don't recall putting embedded images on master page, but i do have embedded images/linked on the other pages. But it's strange to crash only with one file when the others were made in the same way. Yes this file loads without issue for me in the new build ( called #128 surprisingly) that will be available very shortly I think. Is there any news on a #59 version update to fix the crashing issue or maybe rolling back to #57? any chance of someone posting #57 setup version as only have #58 now. Build #59 (which will be called build 128 for internal build server reasons) has just passed internal testing and will be with beta testers soon. Thanks for the updated news.